Mesa Piano is committed to providing excellent service. We know how important your piano is to you, so when you trust it to our care, we do not take that responsibility lightly. We stand behind our work, and we don't consider the job finished unless you are completely satisfied with the results. 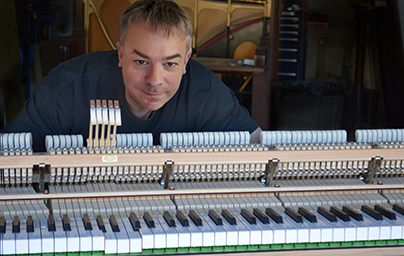 Mesa Piano Service is owned by Mark Purney, Registered Piano Technician, and his wife, Dawn, who schedules appointments. Mark studied classical piano at the Cleveland Institute of Music, and earned a Bachelor of Electrical Engineering from Cleveland State University. Mark and Dawn also own Supply88, a business that designs and produces innovative tools for piano technicians worldwide. 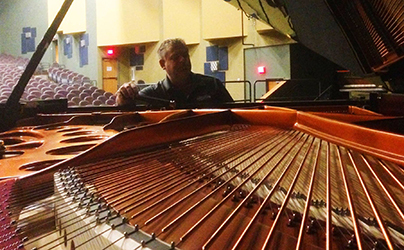 Mark is active in the Piano Technicians Guild, and has served on the Board of Directors and as 2014 Institute Director. We take every opportunity to attend local PTG events, regional seminars and national conventions, as well as factory-sponsored training programs. 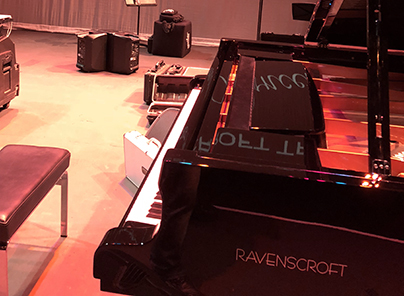 Continued education is essential in this demanding profession, and we are committed to supporting the Piano Technicians Guild and its efforts to promote excellence in the field of piano technology. In addition to servicing pianos in Phoenix Valley homes, churches, schools, and recording studios, Mesa Piano also tunes for multiple concert venues. Below is a list of some of the artists Mark has worked for, including some grammy winners** and nominees*.